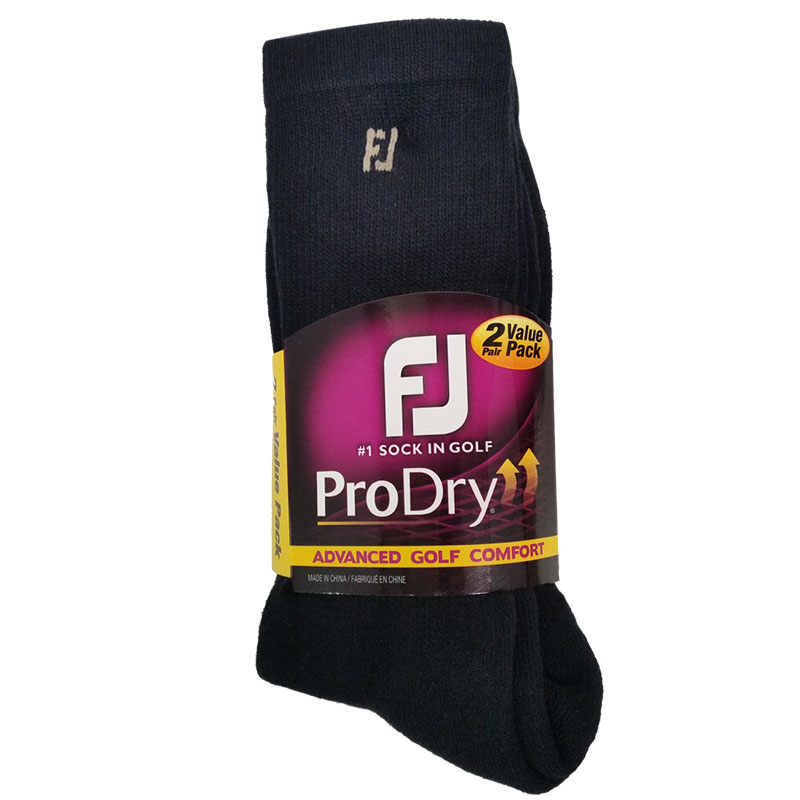 The FootJoy ProDry Socks 2 Pack provide superior moisture control that quickly lifts moisture away from your skin whatever the temperature. 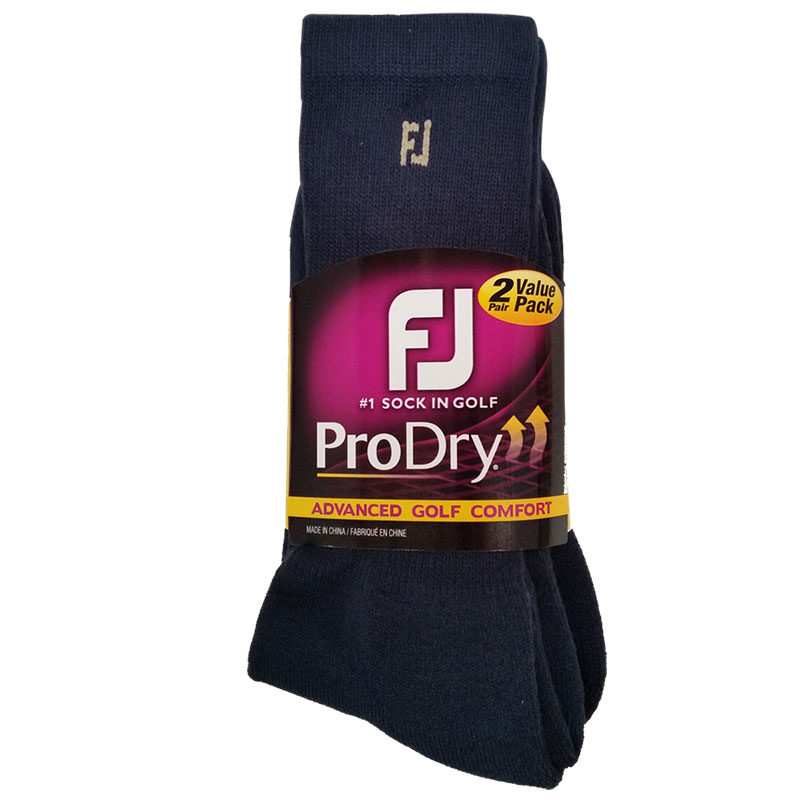 Exclusive DrySof moisture control technology and elastane ensure that the socks dry faster and stay dry longer. The DrySof Moisture Control Technology is integrated throughout the sock. and is combined with Comfort Seam Toe Enclosure for comfortable smooth fit. Double-layer reinforced heel provides added durability. The fully cushioned sole enhances support and maximum comfort.